Search Console, What's the Point? First, Google Search Engine gives you a lot of data about your website’s performance during web searches. When in Google Search Console, choose the Performance section on the left, and filter your results according to the type of search and the duration you want to analyze. The first table you will see contains the total number of clicks on your site and the total number of impressions - which is the number of times Google has put you on a results page. You then have your average clickthrough rate, CTR - which is the percentage of people who have clicked on your site when your site appeared on a search engine’s results page. CTR is used in marketing to measure the effectiveness of campaigns. If your rate seems low, you can try editing different meta-descriptions on your site to make them more appealing to visitors. Then, you have your average position in web searches. Of course, the closer you are to position 0, the greater your visibility. Your goal, of course, is to get on the first page of a search engine. So, if you go down to the second chart in your Google Search Console, you will see data via the tabs to know which keywords bring visitors to your page, which pages on your site are the most popular, your success rate by country and your performance according to electronic devices. Take the time to analyze these results. Any surprises? Any ideas to improve performance? Second, another use of Google Search Console is that it shows you the external links to and internal links on your website. External links, aka backlinks, are links from a web page to your site. Google Search Console tells you which ones are the most popular. Are they by chance links in articles? Don’t forget that the more texts are shared, the more authority your website is given. However, keep in mind some sites that link to your site may not be good quality sites. Too many shady backlinks can affect your SEO. You have the right to delete external links to protect the reputation of your site. Third, Google Search Console tells you what your site’s weaknesses and errors are that affect your search engine performance. To know this, go to the Coverage and Mobile Usability sections. The Cover section shows you the errors on your website. For example, a link may lead to a page not found by Google (Error 404). You can see the page where the search engine found the weakness by clicking directly on it. Find the faulty link then correct it. As you can imagine, the fewer errors Google finds on your website, the better it will rank it. As well, in recent years, Google has ranked websites morefavourably that are mobile friendly. To know how you fare, click the dedicated section on the left side of Google Search Console. Are you convinced that you need to add Google Search Console to your marketing? How to link Google Search Console to your WebSelf sitetool box? Please find below how to link this tool to your website. While these steps may seem daunting at first, it's not that difficult to link your WebSelf site to Google Search Console. You only need to follow these steps which are very similar to linking Google Analytics to your site. Trust me it will be well worth the effort. Once you have it, you will not be able to do without it. The first step is to create a Google Account. You already have one if your website is linked to Google Analytics. If you do not have an account, you can create one here. Go to the Search Console page to create an account during which you will add your website. It would be a shame if competitors or hackers had access to your SEO data; therefore, Google has implemented checks to ensure you are the owner of your website. If need be, you can use your Google Analytics account to prove you are the owner. When your site has been added, Google will provide you a code which is the HTML tag located in the Other methods. Copy it and then return to your WebSelf site. Go to your site and select the Settings icon located at the bottom left of your site. Then click the Code and Tracking section, and paste the code given by Google into the Google Webmaster Tools rectangle. Make sure to save everything. Once Google has verified your site, you will have access to your Search Console data. Please note that it may take a few days for your account to be verified by Google. 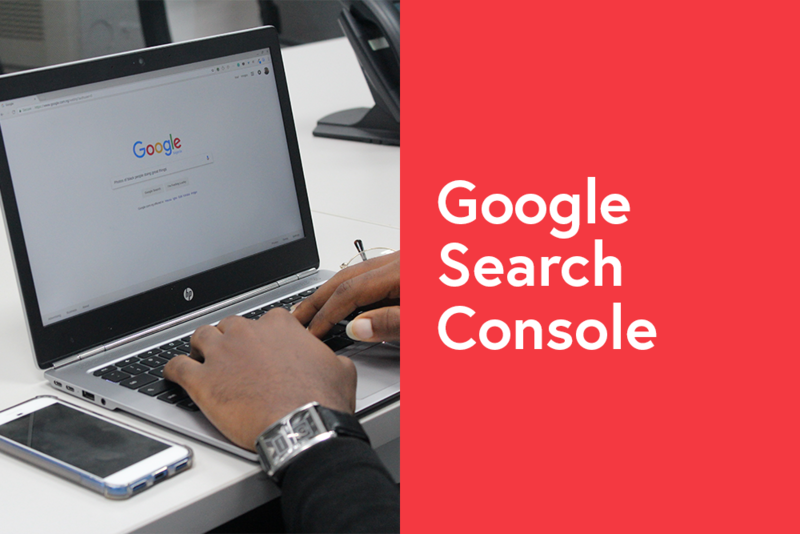 You can also find how to connect to Google Search Console in the support section of our website. Our customer service team is also available if you need a little extra help! To conclude, Google Search Console is a great tool for anyone who wants to monitor their website’s SEO and performance in major search engines. Complementary to Google Analytics, you will see which articles have been referenced, and which keywords are the most advantageous for your blog or your company. As mentioned in our article, Google Analytics: Instructions for Beginners, take the time to familiarize yourself with this tool, then take note of the results after campaigns. Although the road to the first page and position 0 of Google search results may be arduous, your WebSelf site can do it with a little work, creativity and discipline!